You are now in Home page. Learning to play the GUITAR is FUN & FULFILLING, EASY & FAST! It is possible with some effort and a good mentor. In addition, learning to play the GUITAR can be affordable with the right knowledge of where to get GUITARS and finding a great GUITAR TEACHER who can groom you QUICKLY. Do you want to Play The Guitar WITHIN 2 MONTHS ? Love the sound of the GUITAR? And always wanted to learn how to play? Or hoping to perform for your friends or church with your GUITAR? Playing The GUITAR Can Be Easy Or Extremely Challenging ... Depending On Your GUITAR Teacher . Playing the GUITAR is not an easy task as it requires mastering the correct posture and techniques. Picking up bad habits during the infant learning stages can be more deterimental than not having any GUITAR skills. That is why selecting an excellent GUITAR teacher is SO IMPORTANT . All of our GUITAR teachers have taught at least three to five years. And they have acquired teaching methodology at leading music schools. In addition, they have a proven track record of grooming students. Only then, they are selected to join our database. To pass the GUITAR exams within one year or to learn leisurely? Every student has different expectations and we want to recommend the most suitable GUITAR teacher who can meet or even exceed your expectations. We select teachers who are able to work within your preferred schedule. With this, you ONLY pay for the lessons that you utilize. And lessons are done during your free time. Do not have a GUITAR yet? We have great choices for you to view. You will be excited by the range. Convenience is key here. After the song, everyone pauses to take their breath. And then stands up to applause! Yes, you have achieved it! You are a GUITARIST, finally achieving your life long goal !! Learning the guitar is easy, fun and enjoyable with us. Be prepared to rock like a celebrity within 60 days! Jamming with your friends during the weekends will be so enjoyable. Listening to the radio will have a different meaning when you can create music yourself. Make your dream come true, with one phone call. Pick up that phone and call us now ... Group sessions of beginner guitar lessons are also available. All this is possible, if you pick up the phone and CALL US NOW. We even support you after your confirmed GUITAR lessons. Please call STEPHEN at 012-2323638 NOW! 100% No obligations! 100% Satisfaction Guaranteed! We believe in a long term relationship with our customers. Every customer matters and we continue to guarantee your satisfaction after every confirmed lesson. In the case, if the GUITAR teacher is not teaching satisfactorily, we provide a refund or switch of GUITAR teacher at no additional cost. **** Recommended frequency of lessons are once a week. If you have any queries, please pick up the phone and call us now.. Here are what our customers are saying about us. It can be you too..
Full documentation for the following satisfied customers are available on request. These customers were not offered any bribes, cash or discounts for their honest feedback. Azahan , 29, Instructor for aircraft maintenance. 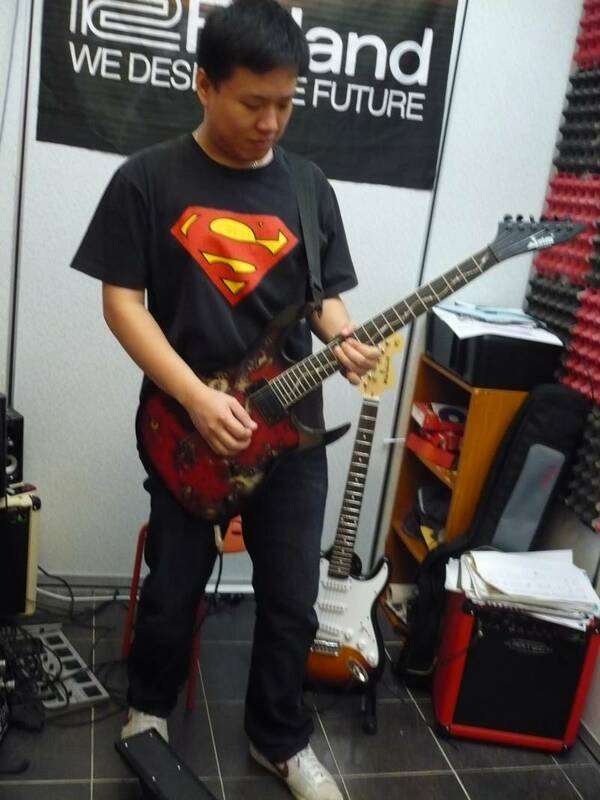 "Enjoyed the Electric Guitar lessons so much that I completed the Advanced course. The teacher made sure that I completed the syllabus"
Alias , 52, F & B business. "I learnt a lot from the Pop Guitar lessons. Mr Wong is good teacher who taught me everything I needed. He knows the student's capability. I like the songs he taught me. He is the best teacher I have ever learnt from and his lessons are easy to understand." Chong Lap Kit , 35, Multimedia & Web Designer. "I enjoyed his lessons on Electric guitar. Completed the syllabus within a year. 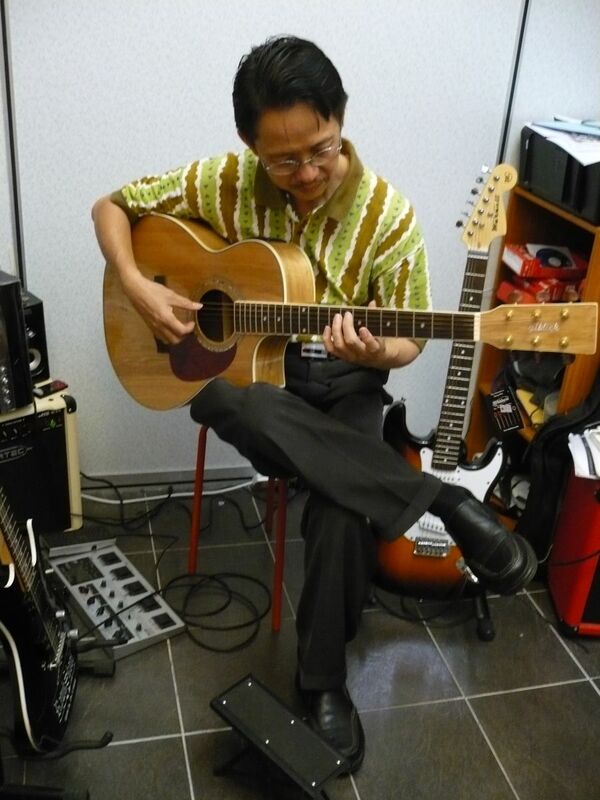 Mr Wong, shared a lot of information on how to improvise guitar pieces." Bobby Wong , 27, Sales. 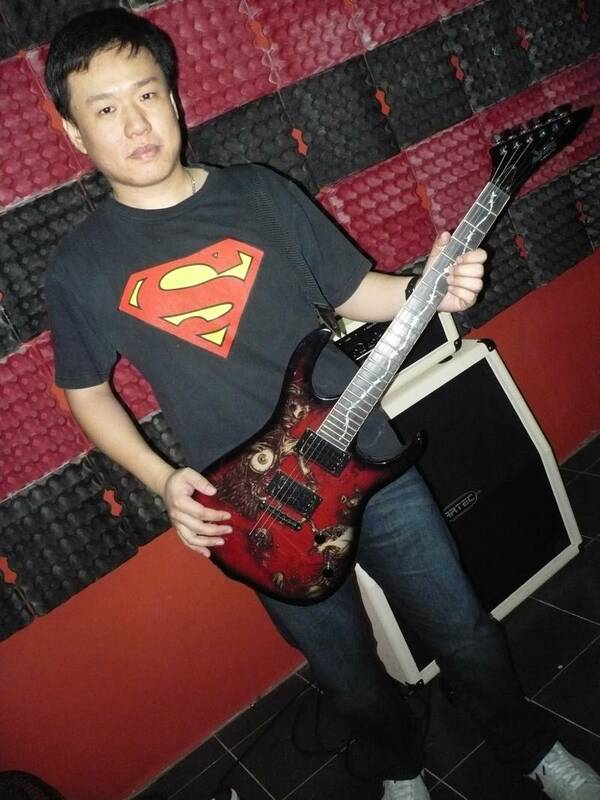 "My teacher, Wong, teaches me how to play the Electric guitar in a fun and orderly way. It is so easy to pick up. He is friendly and always willing to share his knowledge."